I don’t know why, but there is something majestic when it comes to tiny cars powered by powerful engines. Yup; that 400+ horsepower Cygnet is awesome, but I am thinking something more civilized. Even with less than 100 horsepower, cars like the Toyota iQ, or anything from Smart are simply a lot of fun. This time around, Brabus created a rather special 125R based around the Smart ForTwo Convertible and called it the “Pocket Rocket.” Well, it is the pocket rocket considering that the German tuning company dialed up the 0.9-liter turbocharged engine, improved its suspension, and put a special makeup on a tiny car. In a surprising move, Mercedes-Benz’s newly launched EQ electric brand won’t be using any of the past EQ concept cars as its vanguard model. That distinction now rests on the shoulders of the smart EQ ForTwo, EQ ForTwo Cabrio, and ForFour. Yes, the troika of smart models will spearhead Mercedes’ EQ electric brand as it tries to establish a foothold in the growing segment. While that may be true, it’s still a big responsibility to handle. The success of the EQ brand will be dependent on the kind of all-electric models Mercedes can develop. There’s no doubt that the German automaker can do it, but to give smart first dibs means that it’s also responsible for all the first impressions people will have of the EQ brand. Is that a gamble worth taking? Mercedes apparently thinks so. In addition to these models, the three new smart EQ models will also get a new 22 kW onboard charger that will be available by May 2018. According to the German automaker, this onboard charger will make it possible for the car’s batteries to be charged from 10 percent to 80 percent in just under 40 minutes. The price of availing them, excluding the car, of course, sits at €840, or a little over $1,000 based on current exchange rates. Daimler also announced a new ‘smart EQ control’ mobile app to access a few feature of the smart EQ electric cars. Like the onboard charger, the app will be available sometime in 2018. Unlike the onboard charger, the app can’t actually recharge the car’s batteries. What it can do, though, is help owners keep track of the status of their electric rides, right down to receiving push notifications on important elements about the car. There’s a narrative where Mercedes’ decision to use smart vehicles as the first models to get the EQ designation could go wrong. But give credit to the German automaker for making the unconventional move. 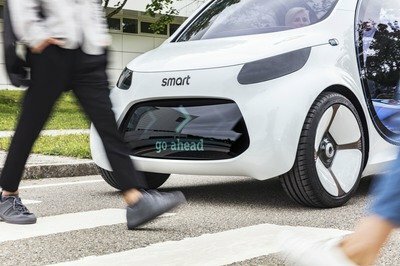 Just as it’s a curious move, there’s another side to it that makes sense given that smart’s whole identity is built on the foundation of mobility. What better way to showcase that and the company’s fledgling electrification technology than to put them together? Read our full speculative review on the 2018 Smart ForTwo EQ. Read our full review on the 2017 Smart Vision EQ Fortwo Concept. Mercedes-Benz’s eye toward the future boldly saw a fully electric, fully autonomous concept car debut at the 2017 Frankfurt Auto Show. 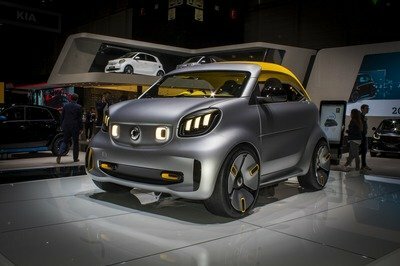 Hailing from its Smart division, the concept took cues from the production Smart ForTwo and injected predictions of what the future might hold. Less than a year later, the 2018 Geneva International Motor Show will be the launch pad for a production version of the car. 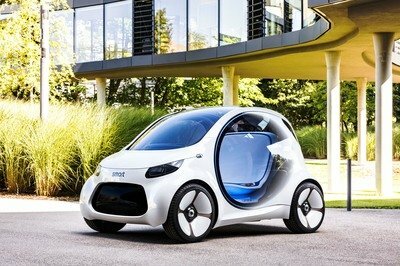 It’s called the Smart ForTwo EQ and its ramifications to big city car sharing could be felt for centuries to come. 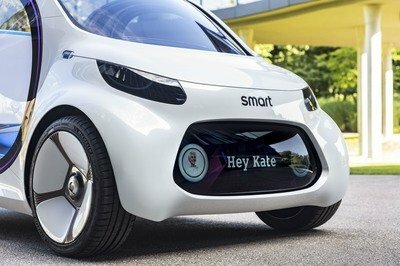 Smart is set to debut the car on March 6 at the 2018 Geneva Motor Show. We’ll know much more when the time comes, but until then, let’s look at what we can expect. 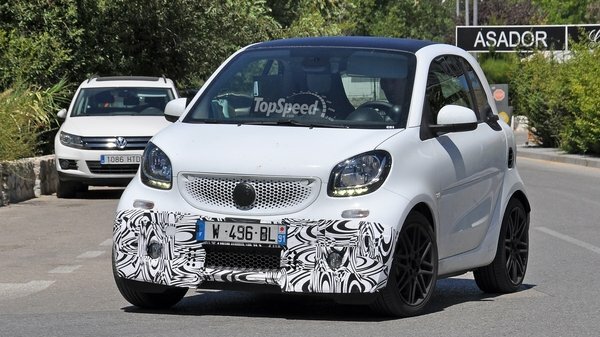 We can expect the production version of the Smart ForTwo EQ to be a bit more… production appropriate. The glass doors, the futuristic headlights, the LED signage on the grille – all will likely be replaced with more conventional parts. 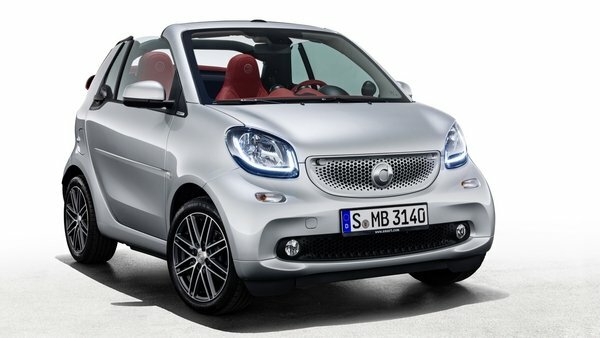 Still, don’t think the ForTwo EQ will be boring. 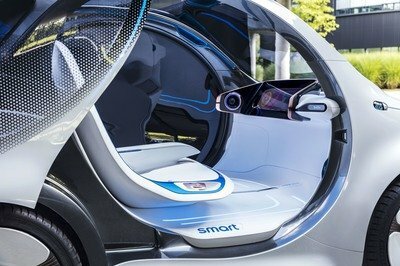 Smart would be wise to keep the futuristic and high-tech appearance as an advertisement for the car’s actual futuristic and high-tech performance. It supposedly can drive itself without passengers, after all. 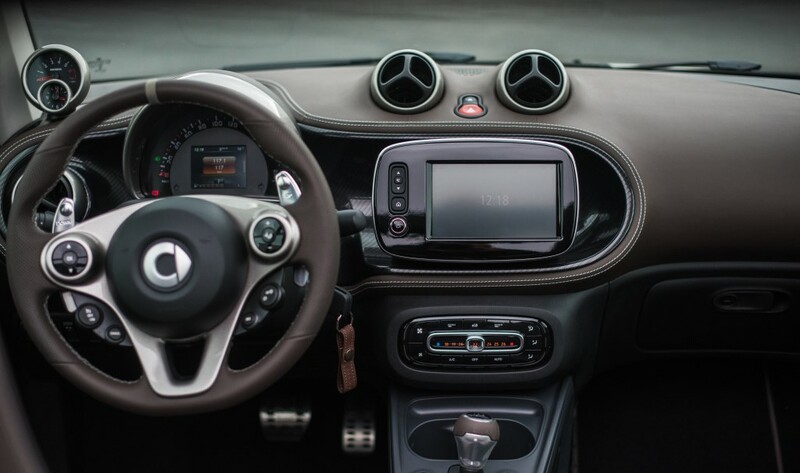 The interior’s design and equipment really depends on how autonomous the ForTwo EQ truly is. If the two-seater city car will actually operate itself without human input (beyond inputting a destination), then a steering wheel and pedals won’t be needed. Our bet is these conventional driving fixtures will be present – at least in the first generation model – as government agencies relax laws on self-driving vehicles and people grow more accustomed to them. 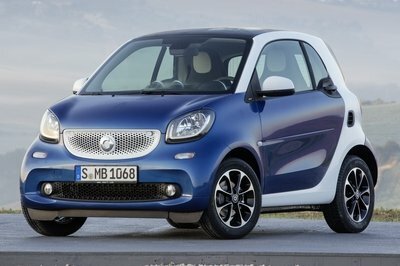 If Smart actually pulls it off, the ForTwo EQ will have generous amounts of room relative to any two-seater city car in the past. Even the current Smart ForTwo can’t compete with the openness of the EQ’s airy cockpit. Driverless technology or not, count on large screens that control every onboard creature comfort and display vehicle parameters. Analog gauges are so 2000s, anyway. The Vision EQ ForTwo Concept’s electric drivetrain consists of a 30-kWh lithium-ion battery. Smart didn’t go into detail about the concept version’s details, but we can expect more on the model that debuts at the 2018 Geneva Motor Show. 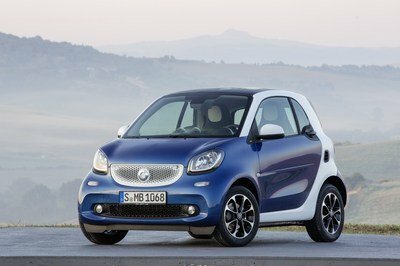 By comparison, the 2018 Smart ForTwo Electric drive – Smart’s all-electric replacement for its gas-powered ForTwo – has a measly 17.6-kWh lithium-ion battery that’s good for 80 horsepower and 118 pound-feet of torque. Its range is limited to 70 and 80 miles, depending on usage. If Smart keeps or even exceeds that 30-kWh battery size, power and range will improve. Then again with a city car designed to be shared, driving range won’t be a concern. Smart’s fleet of shared cars will always have a fully charged unit ready for dispatching to your location. After your use (and potentially several others), the car will navigate itself to a charging location and connect itself, likely with wireless inductive charging. End consumers needn’t worry about driving range. It’s far too early to accurate guesstimate pricing for the Smart ForTwo EQ. Smart might not even sell them publically, but rather operate a fleet in each metropolis area and make money from rides, much like Uber, but with no driver to pay. 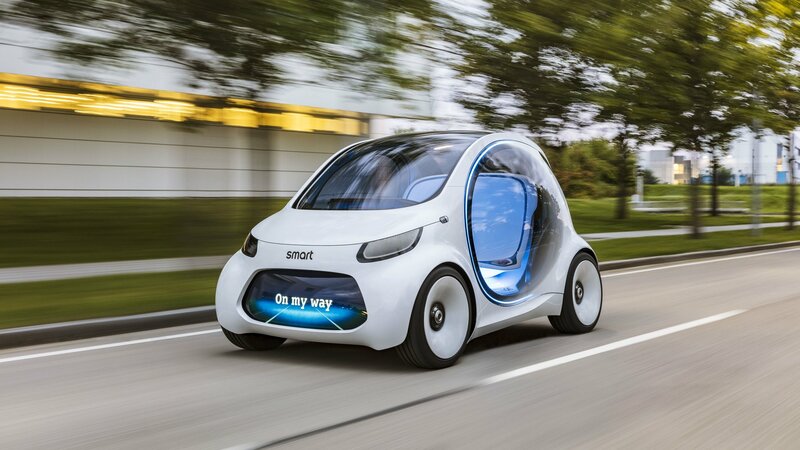 On the other hand, Smart could sell to individuals who desired a more traditional vehicle user experience. In that case, we’d expect pricing to come at a premium. After all, Smart could likely make far more money sharing the cars than selling them outright. Either way, expect them to cost at least $30,000. By comparison, the 2018 Smart ForTwo Electric Drive starts at $28,750. 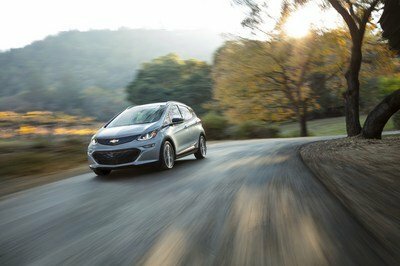 Chevrolet has turned theory into reality with the Bolt. The Bolt is an all-electric city car with a usable range of 238 miles on a single change of its 60-kWh lithium-ion battery pack. Better yet, the car can carry five people and their stuff thanks to its hatchback design. A glass cockpit has a handsome 10.2-inch infotainment system and a 8.0-inch digital gauge cluster as standard equipment. Techie features include Apple CarPlay, Android Auto, and 4G LTE Wi-Fi hotspot. Of course, the Bolt does not drive itself and takes up more real estate to park. Smart should be commended for shooting for the stars, but the Chevy Bolt is certainly respectable for actually delivering an affordable city car with a descent range. The Bolts actual downfall is its charge times. On a standard 110-volt outlet, the car needs upwards of 30 hours! A Level 2 charger with 240 volts drops the time to 10 hours. General Motors is building a nationwide charging network much like Tesla’s Supercharger system. As for price, the 2018 Chevy Bolt starts at $37,495 for the LT trim, while the up-level Premier starts at $42,780 – both before any tax incentives or rebates. That’s a comparable price to the new Tesla Model 3, though Bolts are far easier to find and purchase at this point. As practical as the Chevy Bolt is, the BMW i3 is a bit more fanciful and whimsical with a dash of new-age automotive technology sprinkled in. The car is built using carbon fiber and high-strength steel to keep weight down, it used rather skinny tires (that are slightly wider for 2018) and is small enough to park anywhere a Chevy Bolt could fit. The interior is a swanky place with a Zen-inspired feel. Wood and metal accents counter the interior’s base black color. The i3 comes in two versions: the fully electric i3 and the range extender with the gasoline three-cylinder. Technically speaking, the range extender gives the car an limited range with typical stops at a gas station, but the all-electric i3 is both cheaper and more in line with the Bolt and Smart ForTwo EQ. It offers 114 miles of range on a charge and only takes 30 minutes to recharge up to 80 percent on a Level 3 DC 50-kW charger. On a Level 2 charger, the i3 will recharge roughly 26 miles per every hour its plugged in. The standard 110-volt outlet will charge it three to four miles every hour. pushed the base price to $48,300. 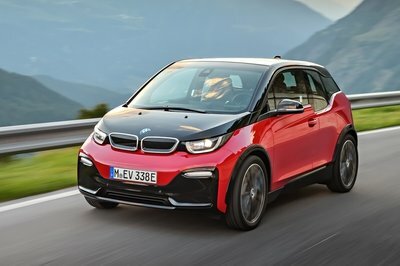 BMW also offs an i3s model with a bit more power. It starts at $47,650 and $51,500 for the range extender. The Smart ForTwo EQ has the potential to greatly change the landscape of automotive usage and ownership. Of course, that’s a hard nut to crack, so only time will tell if Smart is able to pull off the impossible. We should know more as the 2018 Geneva International Motor Show begins March 6, so stay tuned to TopSpeed.com for that. We’ll have tons more coverage on the ForTwo EQ and so much more. You know the electric revolution in the auto industry is looking more and more like a real thing when aftermarket tuners, usually the last defenders of traditional gas-powered engines, start to slowly embrace the prospect of tuning electric cars. Brabus isn’t quite there yet, but one of its offerings for the Frankfurt Motor Show points exactly to that kind of future. The model is called the Brabus Ultimate E Concept, and while it does take its roots from the smart ForTwo, this creation is more about what the tuner can do moving forward more than it is a showcase of smart’s expanding portfolio. To be fair, there are a number of interesting items in the Ultimate E Concept. It’s all dressed up in a swath of fancy aero bits, making it look a lot more dynamic than a run-of-the-mill ForTwo. It even has an eye-catching yellow paint that a Mercedes-AMG GT R would be proud to wear. The real highlight of the concept though is its drivetrain. Don’t go looking for a combustion engine in there because it’s long gone. In its place is a full electric powertrain that Brabus developed in collaboration with Kreisel Electric. 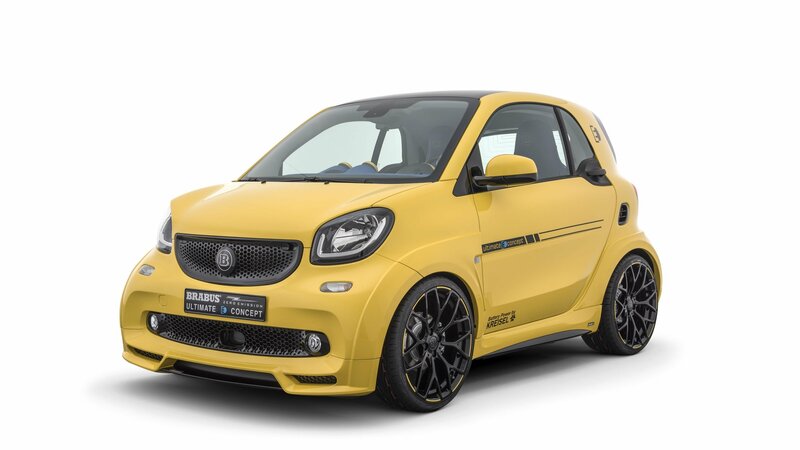 The result is a car that can produce 201 horsepower and 258 pound-feet of torque, making it one of the most powerful versions of the smart ForTwo in the world. For a car that’s never been considered exciting, the Brabus’ Ultimate E Concept looks to be one way to inject some life into the little ride. Given how rapid the advancements are in smart mobility, it figures that it would only be a matter of time before more and more automakers begin showcasing their cars of the future. We’ve already seen a handful of concepts in the past year, and now Smart is joining the fray with the presentation of the Vision EQ Fortwo Concept. 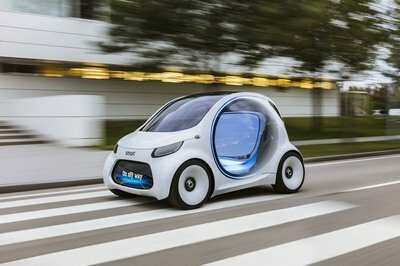 The Vision EQ Fortwo Concept is, for all intents and purposes, a showcase of the company’s interpretation for the future of car sharing services. It’s not meant to be a personal vehicle so any influence in that regard has been put on the shelves in favor of pushing for advancements in car sharing technology. The results are what you’d expect it to be as the Vision EQ Fortwo Concept really is unlike any concept that smart has introduced in years. It still takes the shape of a concept Fortwo, but in the case of this vehicle, the devil really is in the details, as you will see in the section below. For now, there aren’t any plans to bring the concept up to production, so don’t expect it to suddenly show up at your front door waiting to pick you up. This concept is a preview of a potential future where technologies in car sharing, electrification, and smart mobility all come together as one. If the Smart Vision EQ Fortwo Concept doesn’t get you excited for that kind of future, there’s little reason to expect anything else that will. Fifteen years ago smart, a city car maker with a pathological hatred of capital letters, hooked up with Brabus in a 50-50 partnership so that they might make their cars cool and desirable. Now they are celebrating staying with each other this long with a special limited edition called Smart Brabus ForTwo 15th Anniversary. Designed to showcase what Brabus treatments can do for smart cars, the Smart Brabus ForTwo 15th Anniversary claims to be a sportscar for the city. That is a bold claim and they certainly can’t be using the term sportscar to describe this model in the sense that it’s fast since it comes with a 52 kW (70 hp) motor in the hottest version. But we have to say the unique looks and the exclusive interior appointments featuring leather and carbon fibrer do give this ForTwo a certain flair that makes it a cool urban runabout. Smart Brabus ForTwo 15th Anniversary comes as a fortwo coupé or cabrio and with a choice of two turbocharged engines (66 kW and 80 kW) as well as in an electric drive variant (60 kW). Highlgihts include individual paint finish for bodypanels and tridion cell in “anniversary silver (shiny)”, leather appointments in espresso brown with BRABUS sports seats, and tailor made exterior style package. Production is limited to 150 units. 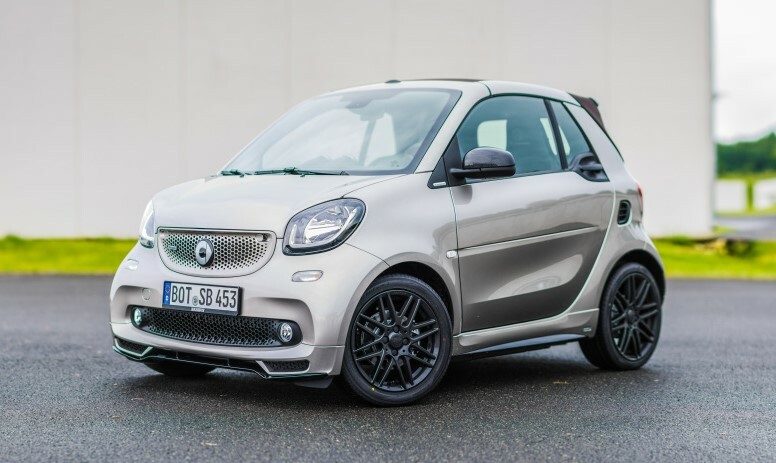 The post Smart Brabus ForTwo 15th Anniversary Editoin appeared first on Motorward. The third-generation Smart ForTwo came to be in 2014, when the German firm unveiled a completely redesigned city car with underpinnings borrowed from the Renault Twingo. 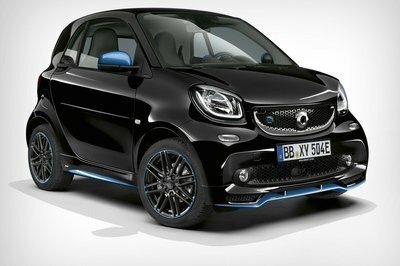 For 2017, Smart introduced a new version of the higher performance ForTwo developed by long-time Mercedes-Benz tuner Brabus. A couple of special-edition models followed and Smart is now launching the ForTwo Cabrio Brabus Edition #2 at the 2017 Geneva Motor Show. Essentially a limited-edition model featuring an extensive line of equipment and appointments, the Edition #2 is arguably the most bespoke ForTwo Cabrio to date. Not only offered in unique color combinations inside and out, the Edition #2 is also packed with standard features, including no fewer than four distinct packages. Set to go on sale in March 2017, the Cabrio Brabus Edition #2 will be showcased at the Geneva Motor Show alongside the ForFour Crosstown Edition. There’s no word whether the Edition #2 will make it Stateside, but until we find out more, let’s have a closer look at this fancy little city car. 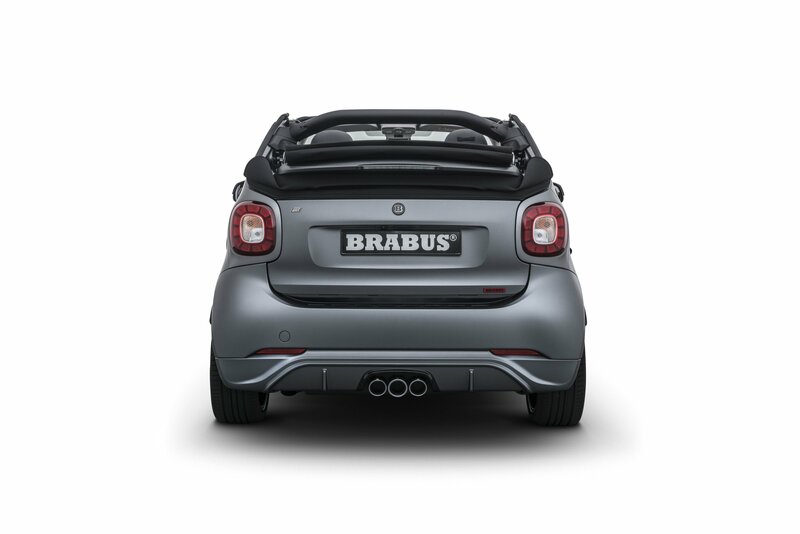 Continue reading to learn more about the Smart Fortwo Cabrio Brabus Edition #2. 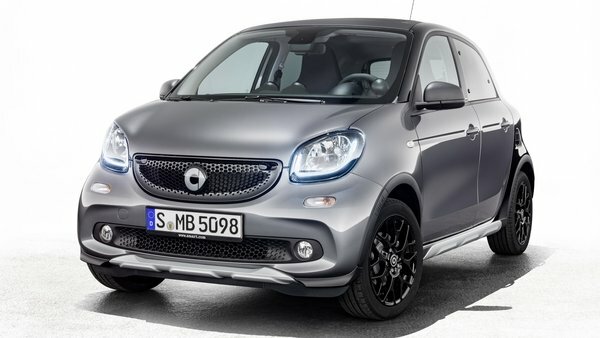 Am I the only one who thinks that there’s something redeemable about the Smart ForFour? The four-door compact car hasn’t been as well-received as Smart would’ve liked, but it still has some qualities about it that make it an appealing choice for urban-goers. Say what you will about the ForFour, but you can’t deny that it has enough merits to warrant a special edition model, which is exactly what we’ll be getting when Smart brings the ForFour Crosstown Edition at the 2017 Geneva Motor Show. I get the skepticism about the car; I really do. I get it that people think that it’s still too small for their liking. I get it that it’s still hilariously underpowered. I even get it that the car hasn’t changed much since the second-generation model was launched in 2014. 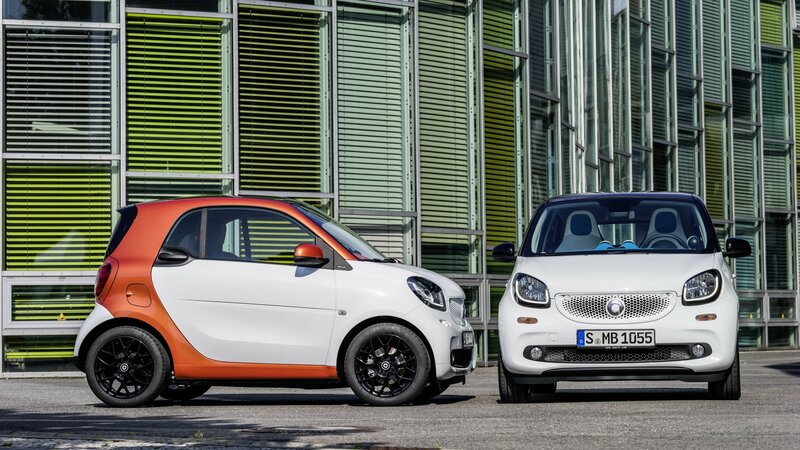 All fair points, but give credit to Smart for not only soldiering on with the ForFour, but for also doubling down on it with the Crosstown Edition. As you can expect, the special edition ForFour features a wide range of enhancements and packages, all of which were added to give the ForFour an exclusive look to it that the model rarely gets. Think of the ForFour Crosstown Edition then as a Smart catalog on four wheels that’s meant to showcase a lot of the equipment and appointments that usually come as added options on standard models. The special edition ForFour doesn’t have any engine enhancements, so don’t expect anything in that regard. But there are some notable features elsewhere around the car, and in the absence of anything exciting happening under its modest hood, Smart makes up for it with some interesting upgrades both inside and outside of the ForFour Crosstown Edition. So give it a look. You might end up liking it. God bless Smart. The Daimler-owned automaker has struggled to turn any kind of consistent profits for its parent company in the 23 years that it’s been around so it is reasonable to ask if Daimler would be better off cutting the cord on the beleaguered microcar brand. But that’s a separate topic for another time because this is all about the latest special edition Smart ForTwo that’s designed by fashion stylist Veronika Heilbrunner and worked on by noted Mercedes aftermarket tuner Brabus. 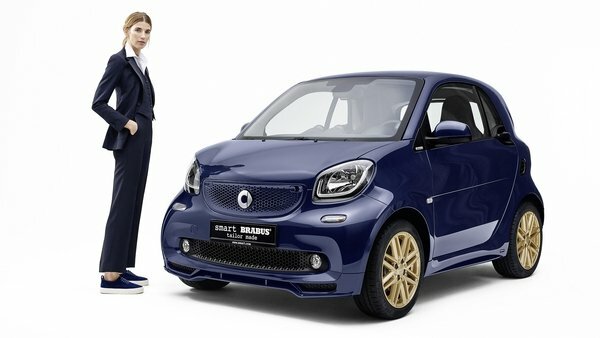 It officially goes by the name “Brabus Smart Fortwo by Veronika Heilbrunner” and it was created to showcase the smart Brabus tailor made program and the “seemingly endless possibilities” that the program offers in terms of individualization. As you can expect, the Brabus Smart Fortwo by Veronika Heilbrunner is filled to the brim with personalized touches from the brilliant design mind of Heilbrunner. It comes with fancy colors, bespoke amenities, and the traditional vanity embellishments that are typical of a personalized car. 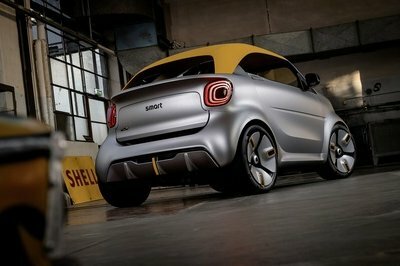 In other words, the special edition ForTwo is a four-wheeled representation of Heilbrunner that was showcased under smart’s new personalization program with Brabus. The showpiece ForTwo is a one-off (no surprise there), but owners of the two-door micro car have the opportunity to create an exact replica of the Brabus Smart Fortwo by Veronika Heilbrunner, all thanks to the personalization program and the myriad of options it has in its catalog. Continue after the jump for read more about the Brabus Smart Fortwo by Veronika Heilbrunner. In 2014, Smart decided that the second-generation ForTwo had spent too many years on the market and launched the much-improved, third-generation model. Redesigned from the ground up with help from French automaker Renault, the new ForTwo is a significant departure from its predecessor in terms of design, technology, and drivetrains. Under the hood, the tiny city car continues to use small-displacement, three-cylinder engines, but ditched the previous powerplants in favor of two new units from Renault. It also received a manual transmission for the first time. As far as lineup diversity goes, the ForTwo spawned the usual convertible, Brabus, and all-electric versions. In 2016, the small German automobile made its debut as a police car for the New York Police Department. The largest municipal police force in the United States ordered no fewer than 250 ForTwos as a replacement for the three-wheel motorbikes it previously used in the city. A welcome decision among policemen, who now benefit from all-weather protection and air conditioning. Currently using around 9,000 vehicles, the New York Police Department quoted the car’s agility and reliability in its decision to turn the 106-inch-long ForTwo into a patrol car. “The smart is spacious and agile and makes my job much easier. Many people say that the little patrol cars are really cute, too,” said Officer Ralph Jefferson, the first policeman to take the ForTwo on patrol duty around Chinatown. Needless to say, it looks like the days when the NYPD used large vehicles such as the Ford Crown Victoria Police Interceptor in the city are long gone. But, this isn’t the first time small cars are preferred in crowded neighborhoods. Back in the 1950s, various police departments around the U.S. acquired Nash Metropolitan economy cars for police duty. At only 149.5 inches long, the Metropolitan was one of the smallest vehicles on American roads and pretty much a Smart ForTwo among the very large cars produced by Detroit. The ForTwo joins vehicles such as the Ford Taurus, Ford Fusion Hybrid, Toyota Prius, Chevrolet Volt, and Ford Explorer in the NYPD fleet. Continue reading to learn more about the Smart ForTwo NYPD Edition. The third-generation Smart ForTwo arrived in 2014 with significant changes over its predecessor. Co-developed with French carmaker Renault, it received a more traditional exterior design with a longer front hood, a revamped interior, and three new engines. 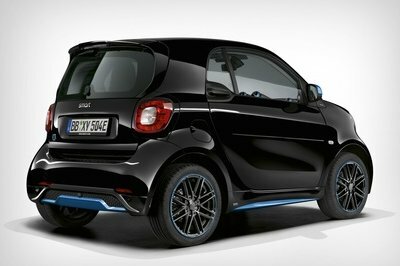 Much like its predecessor, it also spawned a convertible and AMG version, and at the 2016 Paris Motor Show, Smart unveiled an all-electric variant. 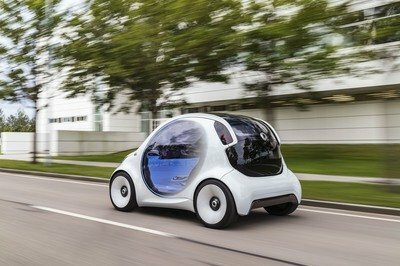 Called the ForTwo Electric Drive (or ED), the emission-free car uses a brand-new electric drivetrain with enhanced output and increased range. 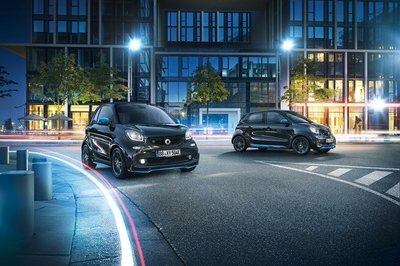 For the first time, the electric motor is also offered in the convertible versions, making the ForTwo the only electric cabriolet on the market. What’s more, because the same drivetrain is also available in the larger ForFour model, Smart is the only car manufacturer to offer its entire model range with both combustion engines and battery-electric drive. Not that it would be difficult having just two vehicles, but it’s still a noteworthy achievement. The new ForTwo Electric Drive will arrive in the United States in 2017. The coupe version will debut in the spring, while the cabriolet model will hit dealerships in the summer. Until that happens, let’s have a closer look at the smallest EV on the market and how it stacks up compared to its predecessor and main competitors. 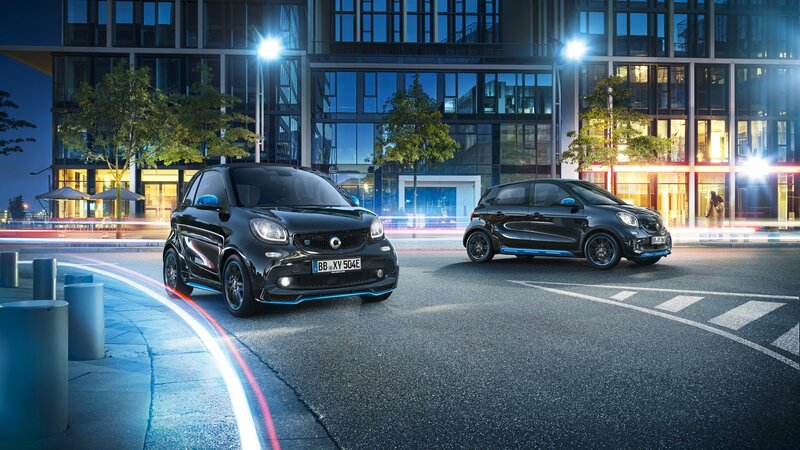 Continue reading to learn more about the Smart ForTwo Electric Drive. 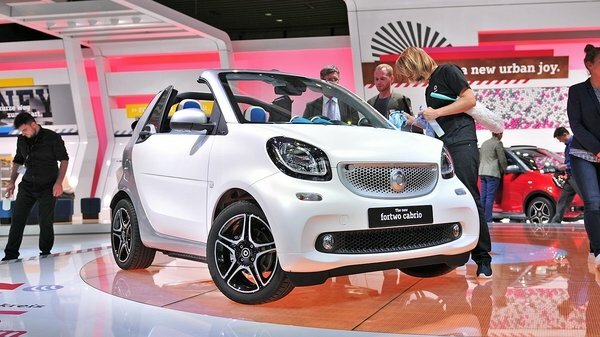 Smart took the automotive world by surprise when it unveiled the ForTwo Cabrio at the 1999 Frankfurt Motor Show. A year later, the Germans launched the smallest production cabriolet, taking the micro car industry into a new era. 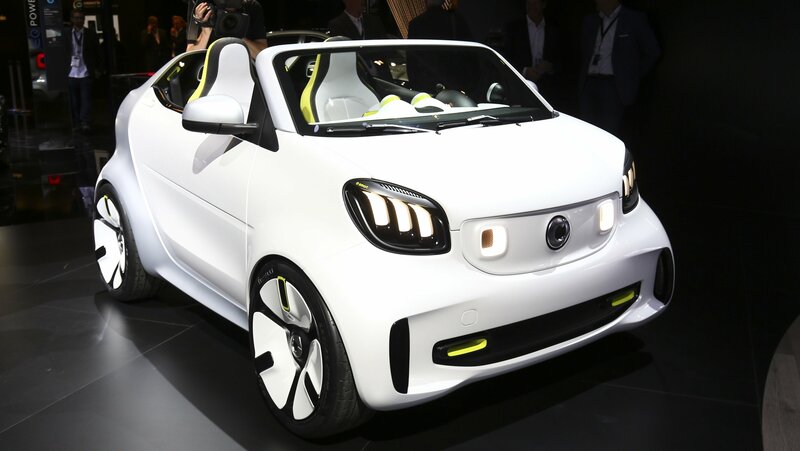 It’s been 15 years since then and Smart has revealed the third-generation ForTwo Cabrio, which is set to break cover officially at the 2015 Frankfurt Motor Show in September. Based on the third-gen 2015 Smart ForTwo we already saw in 2014, the ForTwo Cabrio has been redesigned from the ground up. The styling is all-new inside and out, the chassis has been rebuilt for greater comfort, while the drivetrains are both more powerful and fuel-efficient. The micro convertible will arrive on U.S. soil in the first half of 2016, a few months after it goes on sale in Europe. 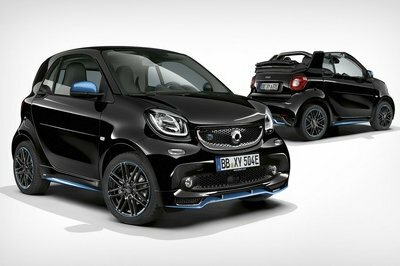 By the time it hits showrooms on this side of the Atlantic, it will join the ForTwo coupe, set to reach U.S. soil at the end of September 2015, and the 2015 Smart Fortwo Brabus Tailor Made program the brand announced earlier this year. Update 06-29-2016: Mercedes has announced pricing for the 2017 Smart Fortwo Cabrio. Check out the prices section below for details. Continue reading to learn more about Smart ForTwo Cabrio. The Smart Fortwo isn’t exactly complicated – in fact, it’s one of the most basic modern vehicles on the road. But it’s that simplicity that makes it a fantastic canvas for tuners and the mechanically minded. 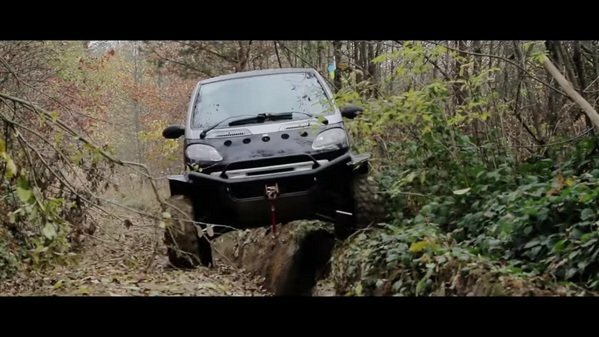 This video is a great example of that, demonstrating what you get when you take the two-seat kei car and add a little off-roader personality. Ok, maybe the word “little” isn’t exactly appropriate here. Sure, the car is small, but the modifications are extensive. Posted to YouTube by user “Mr George,” background on the go-anywhere super orb comes via a link to Drive2.ru, which provides a brief rundown on what went into creating the custom mud-churner. The owner (identified by Yahoo UK as 29-year-old Gerogiy Kosilov from the Ukraine) saw the Smart’s trailblazing potential when he discovered it came with a rear-mounted turbo diesel engine. Sure, it’s only a 0.8-liter inline three-cylinder with 41 horsepower, but properly applied, Kosilov knew the lightweight Smart had what it took to conquer the great outdoors. The suspension was modified with components from Honda, Mitsubishi, and Volkswagen, providing a full 360 mm (14 inches) of ground clearance. Big tires, new bodywork, skid plates, better brakes, and a larger radiator were also added, while all extraneous components were tossed to reduce weight. A whole lotta fabrication later, and the result is an uber-ATV with doors, a roof, and an outta-my-way attitude. Hit play to see the thing in action in this one-minute, 40-second video of big angles, huge ruts, deep puddles, and grimy mud.